Once again a very successful concert was organised by the Rotary Club of Heswall in Heswall Hall recently. As last year, a wonderful performance was given to a packed house by the Fron Male Voice Choir, ably supported by Blackeye's Brass Quintet. Thanks to the effort of members, the generosity of local business sponsors for the draw prizes and the appreciative audience, over £1,600 was raised for local and Rotary Charities. To this end £850 has been handed to Calday Grammar School to support their commitment to the Refile Project in South Africa. The Refilwe Project houses, educates ans suipports children orphaned by AIDS. 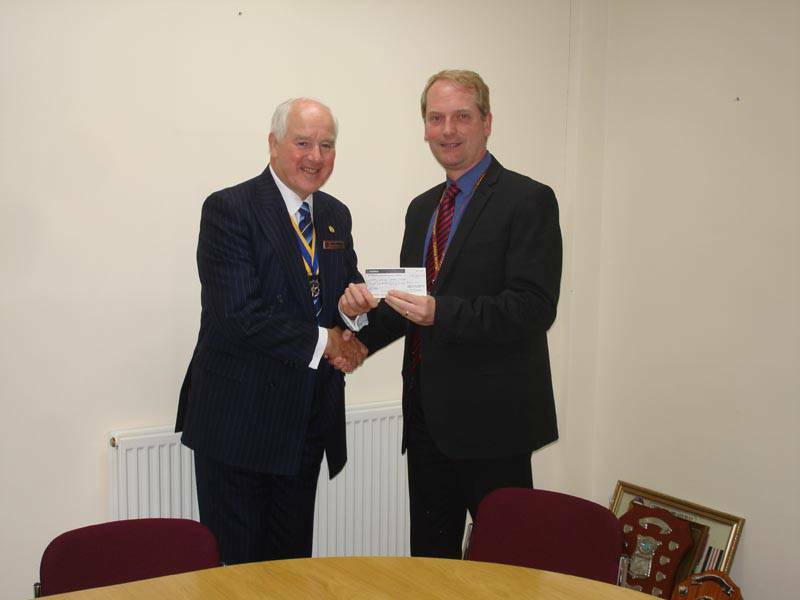 Furthermore the Rotary Club of Heswall will donate nearly £13,000 to local and international charities in the current Rotary year. This wonderful sum would not be achieved without the generous support of the residents of Wirral. Thank you all! !